AdAge recently partnered with Best Companies Group to identify the 50 best marketing, media, and advertising workplaces. The list can be found on the AdAge website here. This got us here at the Loft thinking about what people are looking for out of the best marketing agency workplace. Taking a peek at the Best Companies Group website, they appear to be a company with roots in surveying employees. 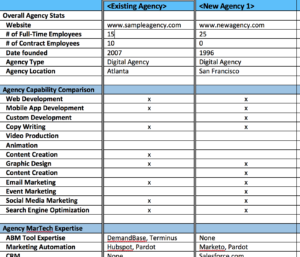 While the AdAge article linked above does not mention “how” they created the list, we’ll make the assumption for this blog post that they surveyed a bunch of agency talent, and aggregated that data back to determine which agencies offered the best perks and the talent noted being the most satisfied. For the top agencies, it looks like they performed a more qualitative interview – which results in some long-form write-ups. The agency setting is an interesting one, in that it’s typically built around the quality of their talent. As such, attracting the best creative and technical talent is a HUGE part of an agencies success. This breeds a unique work-place atmosphere that won’t be found in your typical corporate America office. Reviewing the AdAge Top 50 Employers list, we dissected the perks that are offered by the top 3 winners on the list. Some are pretty typical (i.e., dogs roaming around), and some are downright awesome (i.e., 4-day work weeks, annual trips, and more). So do these perks lead to employee satisfaction? Would they make your life better? Should other agencies think about adding some of them to their agency DNA? All good questions. From my POV, they certainly help!